SET IN Dublin a few years after a zombie outbreak, The Cured finds the world is relatively stable again. Subverting the genre before the credits even end, a cure has been found. Happy days. Nothing is that simple. Restarting society is not as easy as it might seem and there is the issue of the 20,000 still living zombies in Ireland. Not only that but the cured are feeling marginalised, they neither asked to be zombies, nor to be turned back again, so when the people turn their backs on them, tensions rise. The unique twist here is that the majority of zombies, or infected, are now cured, and the cure comes with a great caveat - they can remember all the damage they did in their infected state. Not just that, but the survivors are not too keen on them integrating back into society scot free. The Cured is a new Irish horror movie and a really promising debut from Irish writer/director David Freyne. It is an exciting film but does not quite pack the punch I had hoped. The problem mainly stemmed from the dialogue. Conversations are short and jump and straight to the point in a way they are not in real life. Characters share their deepest feelings with little or no preface or introduction, sometimes to people they have just met. It just does not ring true and can be quite jarring. The world building is really great. To build sets for an apocalyptic event is easy enough and done really well in lots of movies and TV shows, but here, to do a world rebuilt after that such an event, is a lot more interesting. Maybe it says more about Dublin’s infrastructure than we would like to admit. One of the main strengths of the film is the cast, the lead Senan, played by Sam Keeley is really brilliant, an understated performance. 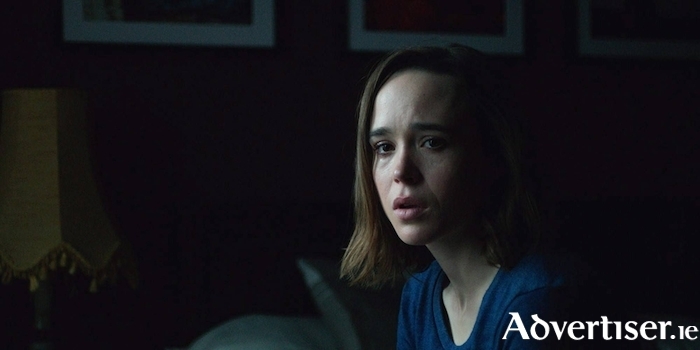 His sister in-law and carer is played by Ellen Page - great to see such a big name featuring in an Irish movie. She has always been an actor I really admired for her choices. Tom Vaughan-Lawlor is, I think, one of our best actors. He is as good as he was in Love/Hate. Next time we will see him is not that far away, as he plays Ebony Maw in the Avengers movie out next week - sure to be one of the biggest films of the decade. Galway does get a shout out in The Cured. One of the final scenes, which is not really a spoiler, we hear on a news bulletin that there are packs of zombies still in west of Ireland! No ones seems to bothered. Thanks guys! As long as Dublin’s safe I guess!